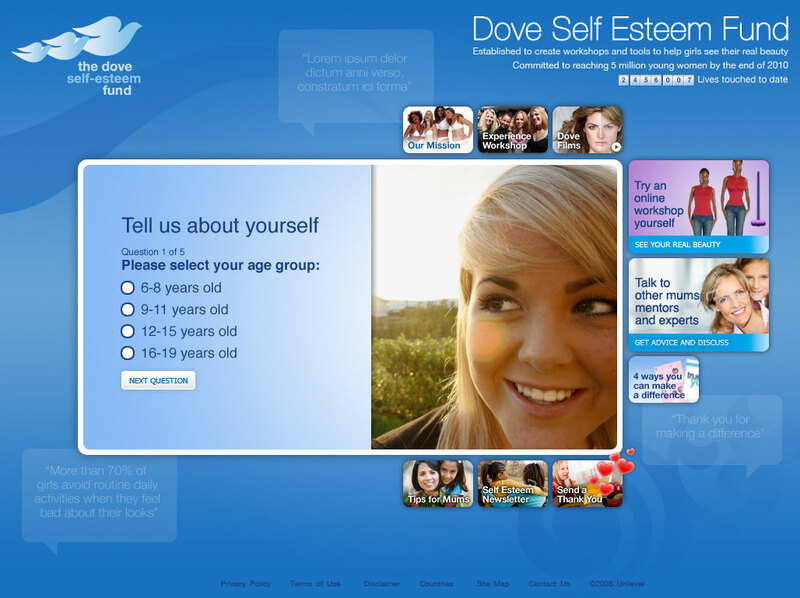 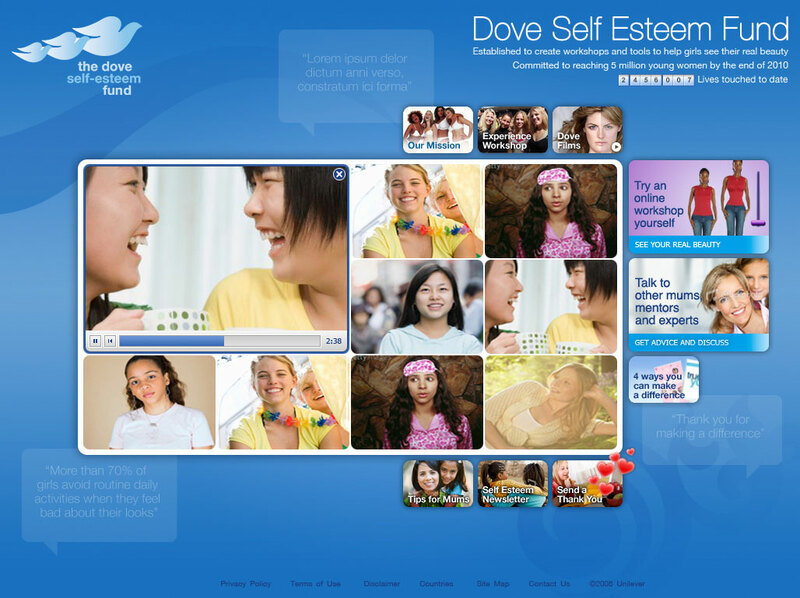 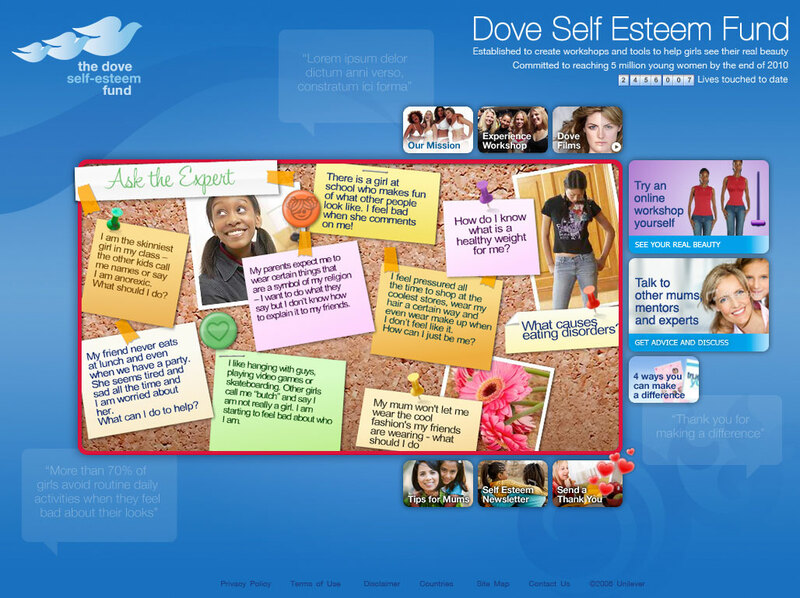 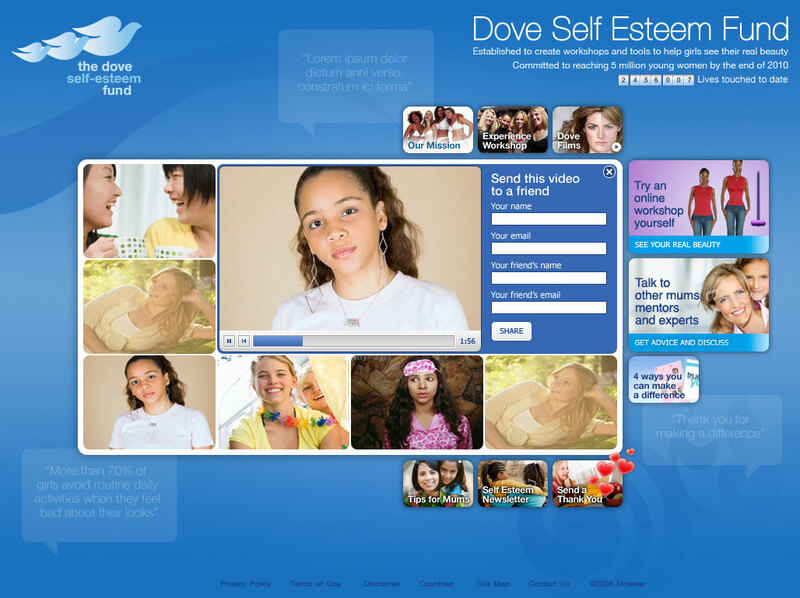 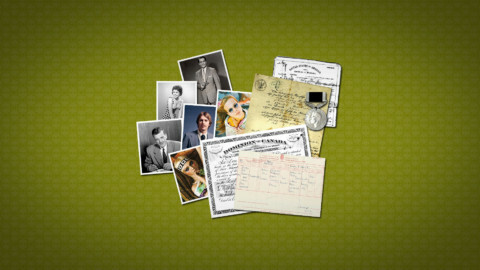 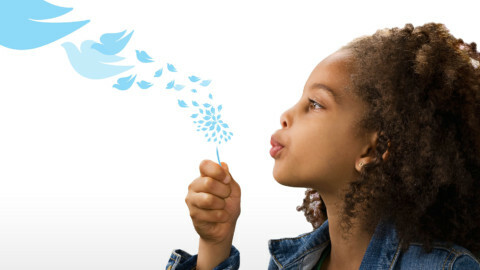 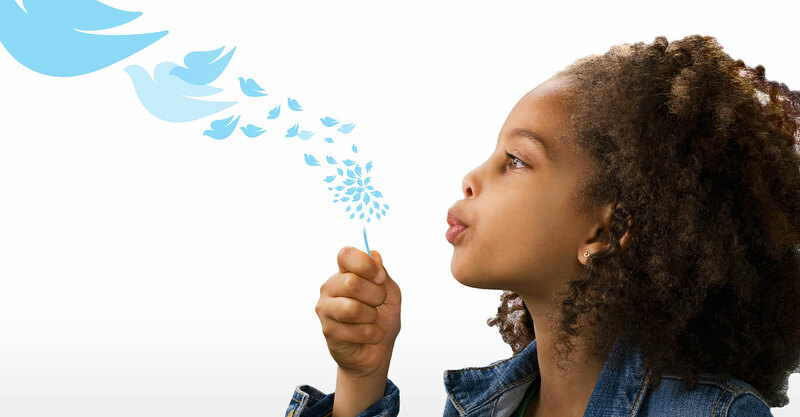 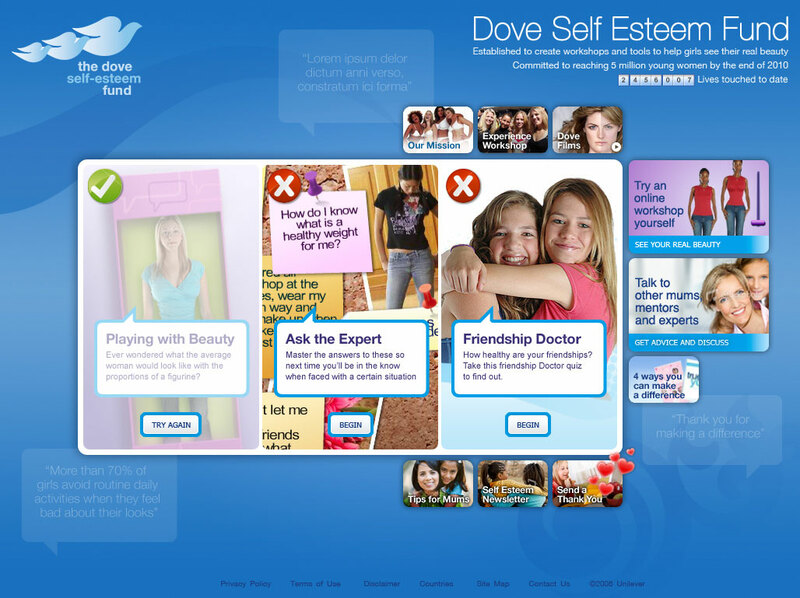 Educational website for Dove Self Esteem Fund to help young people with self-esteem education. 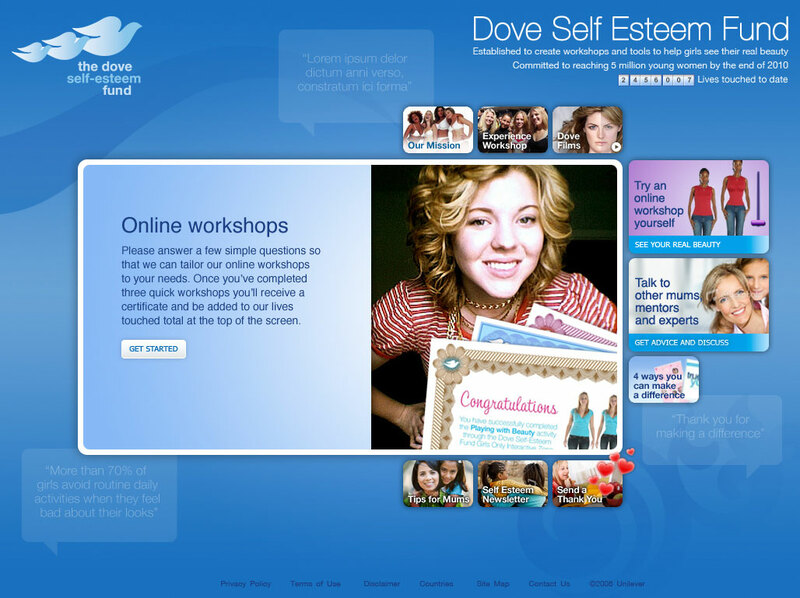 Dove believe no girl should be held back from reaching her full potential and for more than 10 years, they have been helping young people with self-esteem education, reaching 17 million of them so far. 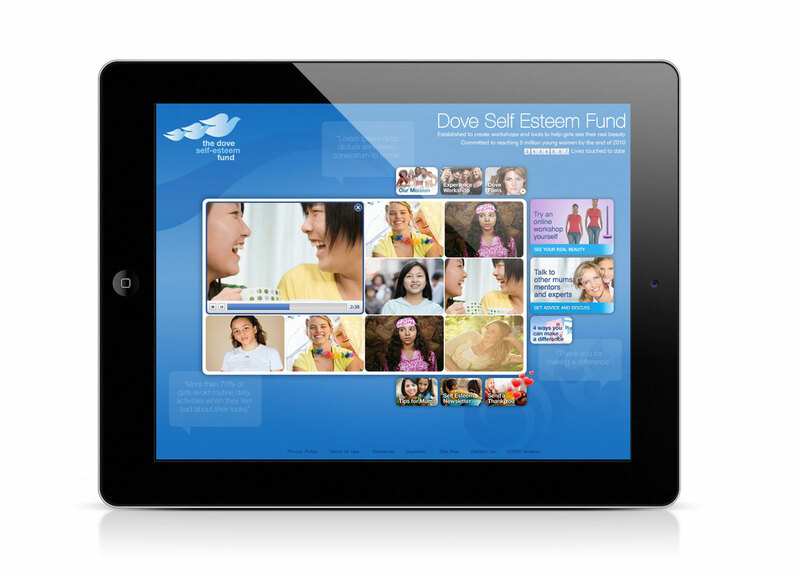 Educational website for Dove Self Esteem Fund to help young people with self-esteem education.